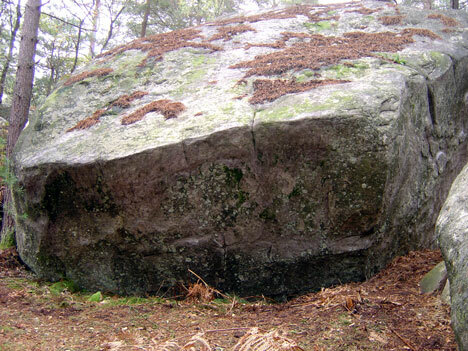 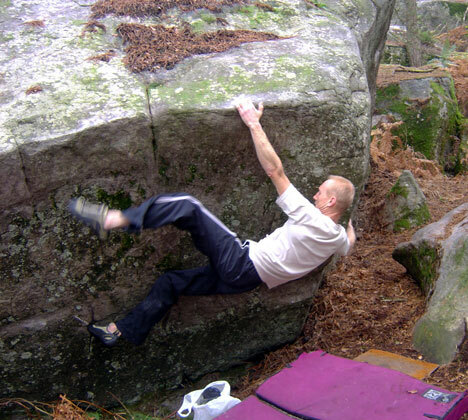 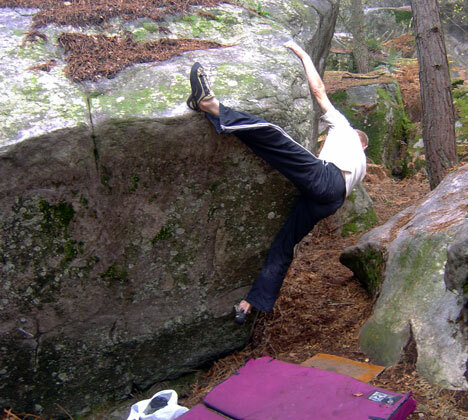 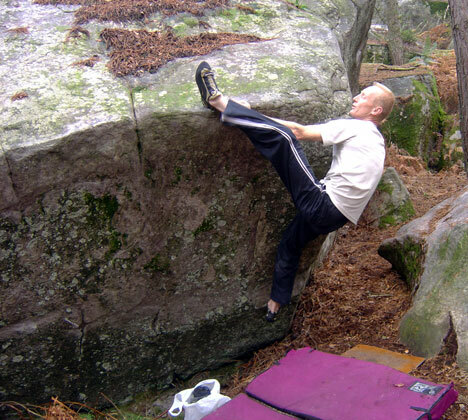 On the boulder of red n°3, underneath and slightly to the left of En Attendant Hugo. 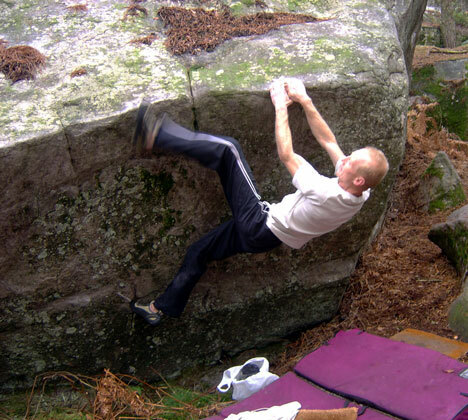 Start on slopers, pass a round angle, traverse in the second face and exit in red n°3. 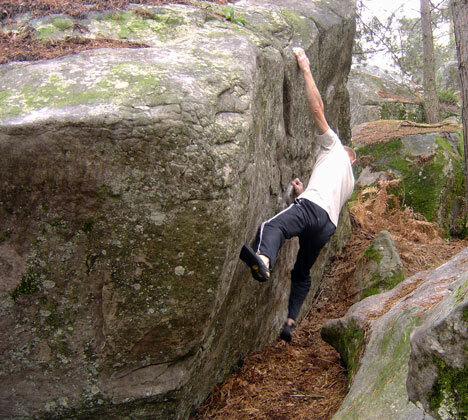 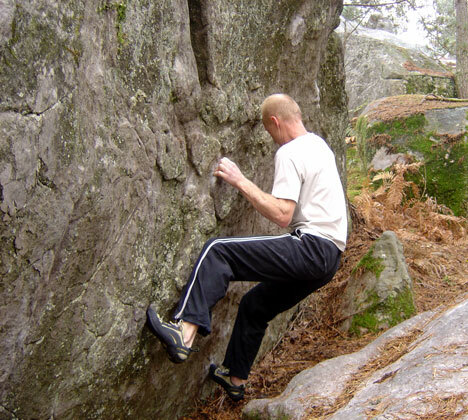 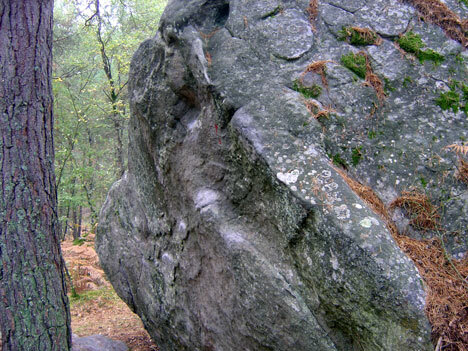 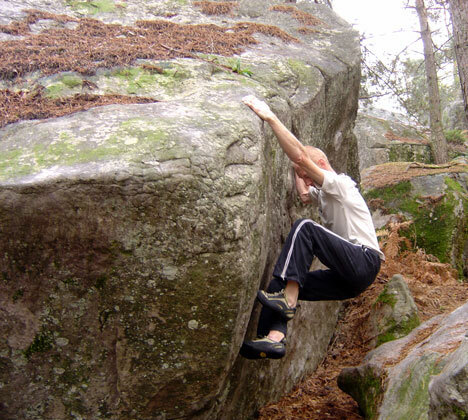 NB : a low traverse is possible in the right face before exiting by red n°3 (approximately 7b+).